OmoAlata Food Services desires to be Nigeria’s pioneer food packaging company providing easy to use pepper mix to the general public with operations in key markets across the country. The company aspires to use its strong local brand identity to position an international product range that will sit in stores all over the world for Nigerians and other customers present in these markets. 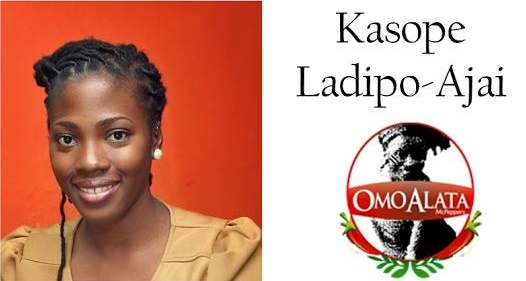 A computer science graduate from Babcock University, Kasope loves cooking, travelling and old architecture. In her past life, she worked as team lead in Air Nigeria where her responsibilities included information technology (IT) related service, business analysis and project management. She also worked with Taytom Group where she handled core IT project implementation. At what point did you decide it was time to start your own company, and what was the first thing you did when you decided? I had always planned to start my own company. I told my first job interviewers that I would probably be working for myself in five years. I got the job and resigned four years later to become an entrepreneur. When I decided to finally take the big leap, I registered the business name to make my decision concrete. When you started out, did you get any resistance from family and friends? Yes I did. Many people thought I should not quit my job until my business was up and running efficiently. I stayed resolute to my decision even when it seemed it was best to go back to paid employment. Those days are still not over but are further in between now. I keep telling myself that in ten years, I would look back and laugh at my hustle escapades. Knowing what you know now, what would you tell yourself when you just started your company? There’s light at the end of the LONG tunnel. Slowly but surely is the key. What does success mean to you, both in business and personally? In business, it means OmoAlata products being used in most households. The success of my business is my pride and joy. Our dream is not only to sell products but to affect people’s lives through this business; employees, mentees, less privileged etc. We have a number of offshoot programs planned as we grow. This would give me personal fulfillment and success. There is an expansion plan already drawn up. The prize money will go into purchasing machinery to increase capacity. Entrepreneurship is not for the lily-liver person. Business plans act as guides and are not cast in stone. Be ready to adapt to suit your environment. To learn more about OmoAlata, visit their website or follow them on Facebook and Twitter. 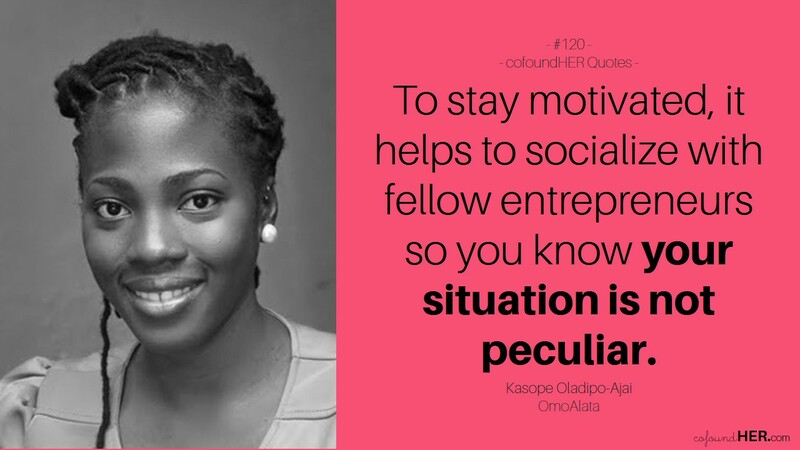 To see Kasope pitch live on stage, reserve a ticket to the She Leads Africa 2015 Entrepreneur Showcase HERE. After graduating from North Carolina A&T State University with a degree in Finance and Accounting, Ngozi stayed in her professional field and went to work as a financial analyst. But she always knew she wanted to be an entrepreneur, so she opened up a small hair studio in DC to tend to clients after work each day. 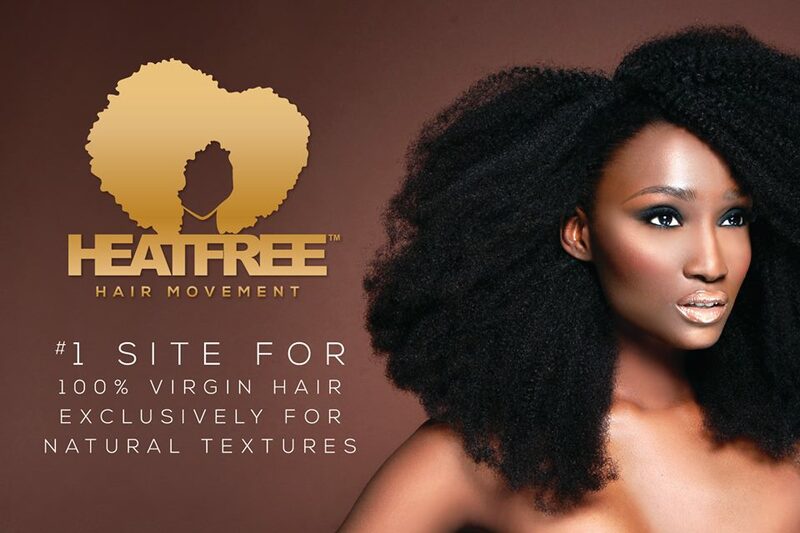 In 2012, she used her savings from her finance job to launch Heat Free Hair Movement, an educational initiative for women with, or those considering, natural hair that highlights the benefit of healthy hair through protective styling. Prior to opening her own business, Ngozi worked for eight different entrepreneurs to gain experience in business ownership and management. Because of her interest and passion for the world of natural hair, she also worked as a manager for natural hair care industry lead, Carol’s daughter. Her interest and passion for natural hair is so deep that at some point, she moved to Qingdao, China where she studied to become a hair manufacturing technician. Ngozi is interested in technology, real estate, and modern architecture. She loves to travel for leisure, and to attend different conferences and events around the world to meet new people. She also enjoys reading as a pastime; her favorite books right now are Outwitting the Devil by Napoleon Hill and Zero to One by Peter Thiel and Blake Masters. At what point did you decide it was time to start Heat Free Hair, and what is the idea behind the business? I’ve always had the spark of an entrepreneur inside of me. I grew up around them in my family and worked for many so I always knew I was destined to be one. I first owned a hair studio, and at the time the most popular style women would request was a weave. One of the reasons my studio was sought after was because of our healthy hair philosophy and approach to styling. When I noticed that women who wore weaves experienced tremendous hair growth on the sections of hair that were protected but experienced breakage on their “leave-out” because they had to continue to apply heat to their hair in order for it to blend in with the weave, I felt like a hypocrite. I immediately started thinking that there had to be some type of way for women to wear the protective style of choice while also protecting all of their hair at the same time. Thus, the initial idea for Heat Free Hair was born. I used my savings from my finance job to launch Heat Free Hair in 2012 and lived completely off the money I earned doing hair. I created the business to assist women, who are natural or going natural, with protective styling options through high-quality wefted hair, closures, wigs, and clip-in extensions. Our hair is created to blend effortlessly with the different curl patterns and textures of a woman’s natural hair. The Heat Free Hair Movement expands beyond our products and focuses on the education of the natural hair community through seminars and instructional videos as well as events for natural women to network with other women alike. Of course! I actually didn’t tell my parents that I quit my finance job. I talked to them about the idea of owning my own business and the concept of Heat Free Hair. They were supportive but wanted me to wait a little while longer before taking it on full time. Both my mom and dad had working backgrounds, so they were apprehensive at first but slowly began to get on board when friends and family would call to tell them that their daughter was being featured in different media outlets. I just kept my eyes on what I wanted and they are now my biggest support system! Was there any point when you felt like giving up on your business? How did you overcome that point in your life? Several. During my first year of business I consistently felt like giving up. Starting my company was one of the hardest things I’ve ever done and I was afraid of both the potential success and failure of my business. I got to a point where I told myself that I could not let my fears be more powerful than my desire to succeed in my life. Knowing what you know now, what would you tell yourself when you just started Heat Free Hair? There really isn’t anything I would go back and tell myself. I really do believe I was where I needed to be in life when I needed to be there. I learned the right lessons at the right time and because of that, I can stand comfortably and happily where I am today. Obstacles along the road I traveled served as building blocks and I’m truly thankful for my journey and the development of my business. To me, success means I am able to achieve a dream I believed in while also bringing value to someone else’s life. I would first thank the SLA team as well as my family and Heat Free Hair followers for believing in our message. I would use the prize money to continue to increase our company’s marketing efforts to reach different parts of the U.S. and Africa. 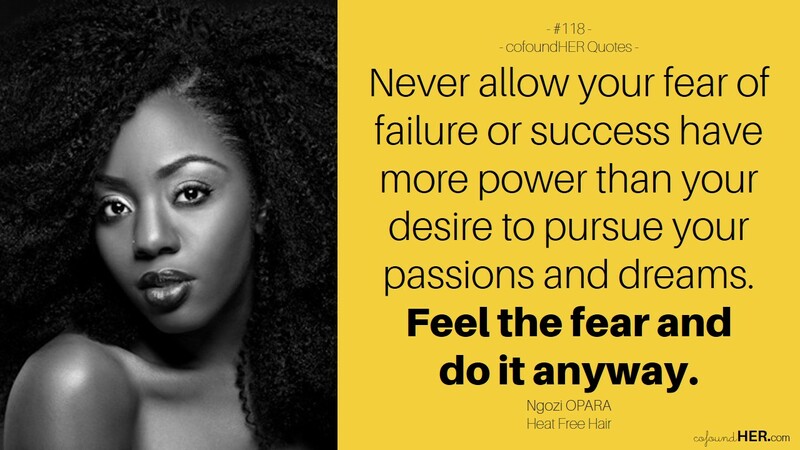 Never allow your fear of failure or success have more power than your desire to pursue your passions and dreams. Don’t give up. Feel the fear and do it anyway. 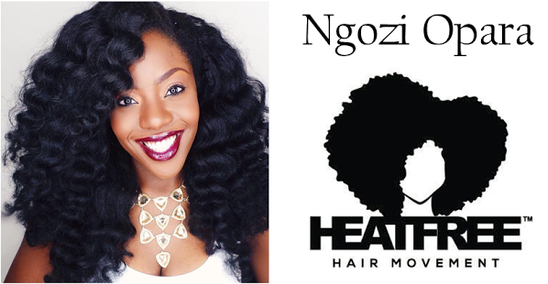 To learn more about Heat Free Hair, visit their website or follow them on Facebook, Instagram and Twitter. To see Ngozi pitch live on stage, reserve a ticket to the She Leads Africa 2015 Entrepreneur Showcase HERE. 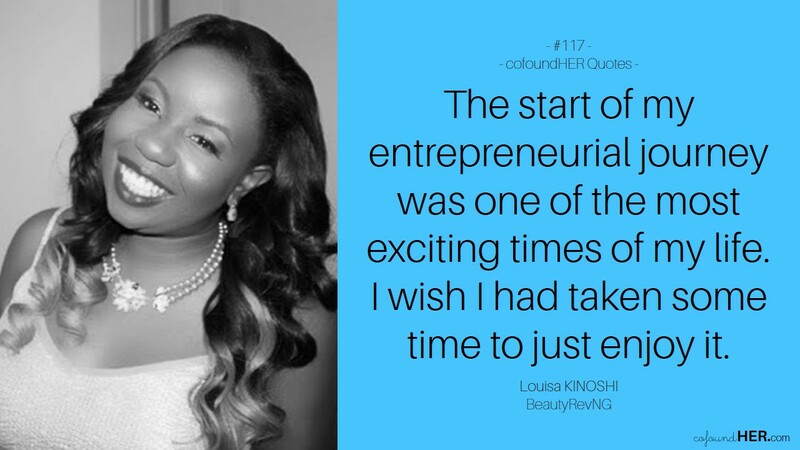 With the ambition to build the Sephora for Africa, Louisa Kinoshi started BeautyRevNG, a web and mobile based community that helps young African women embrace their beauty, and connects them to their favorite beauty brands in a convenient, affordable and fun way. In her past life as a public relations and social media expert, Louisa worked on the development and execution of strategic public relations campaigns for companies such as Clean Line Energy, PepsiCo, Starbucks and Pfizer. Her work experience and passion for African trade issues landed her a position as the youngest executive board member for the Houston Mayor’s Trade and International Development Committee, and eventually led her to founding BeautyRevNG. 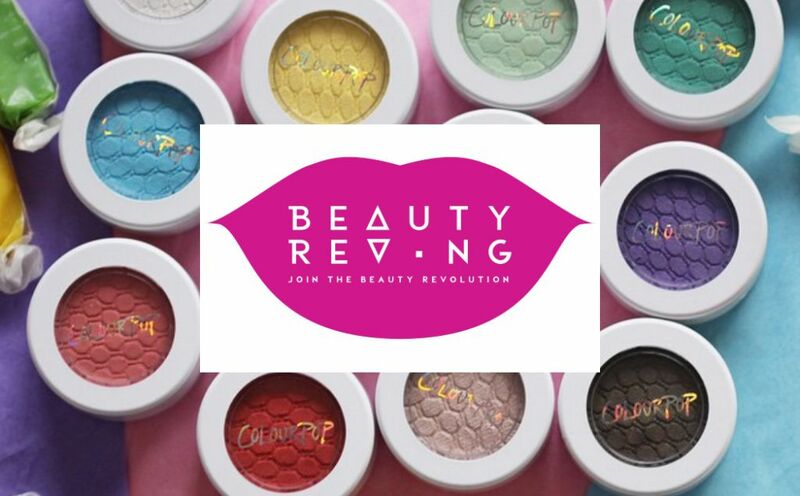 BeautyRevNG.com aims to be Nigeria’s leading online destination for makeup and beauty products, providing a platform for young African female entrepreneurs who have developed beauty brands to showcase and market their products to a large audience. What makes BeautyRevNG unique is that it is more than just a store but an online community for African women entrepreneurs, makeup artists, beauty bloggers, and makeup enthusiasts. Through social media, we tell the stories of African women and celebrate our version of beauty. In her spare time, Louisa loves writing and has written on fashion and bauty for various online publications including BellaNaija, The Style HQ, Style Me Africa and Haute Fashion Africa. cofoundHER: At what point did you decide it was time to start your own company, and what was the first thing you did when you decided? 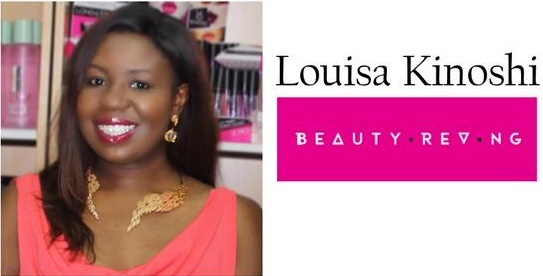 LK: In April 2014, while I still working full time, I knew that I wanted to start BeautyRevNG. I founded it because I believe that one day, African women and girls will define their own standards of beauty and influence the rest of the world. The idea is to make BeautyRevNG Nigeria’s leading online destination for makeup and beauty products, so the first thing I did was to develop our website. I knew we had to have a cool and edgy online presence to stand out in the Nigerian beauty scene. Not really. I am very lucky as both my parents are entrepreneurs and extremely supportive. Once I started my business though, I had to be committed to growing it 100%. So, my friends didn’t quite understand why I couldn’t do normal things like hang out or go on trips. I’ve never felt like giving up on my business 100%. There are times where I would like to take a break maybe for a month or two. Whenever I feel overwhelmed or burnt out, I reach out to the BeautyRevNG social media community for support. It’s amazing how I have been able to connect with and be inspired by some of our followers who I’ve never even met personally. I would tell myself to enjoy the process. I spent a lot of time being nervous and anxious about the success of the company. However, the start of my entrepreneurial journey was one of the most exciting times of my life; I wish I had taken some time to just enjoy it. I believe a lot of women believe success is being able to balance professional goals with personal goals at the same time. I think that is a myth. We put so much pressure on ourselves to have everything all at once. To me, success is being able to achieve your goals at God’s said time. There is the right time to focus on building your career and there is also the right time to be able to focus on family. In our She Leads Africa video, I talked about infusing technology with retail. We are launching beauty experience centers this year in Lekki, Yaba, Abuja and Port Harcourt and next year in other African countries. All BECs will have iPad stands loaded with an app where you can get product matches, view reviews and tutorials and share your purchases with a friend. There will also be a consumer version of this app that will change the beauty shopping experience for women all over Africa. Our customers and stakeholders are really excited about this and we would fast track this project which is already underway. To learn more about BeautyRevNG, visit their website or follow them on Facebook, Instagram and Twitter. To see Louisa pitch live on stage, reserve a ticket to the She Leads Africa 2015 Entrepreneur Showcase HERE. 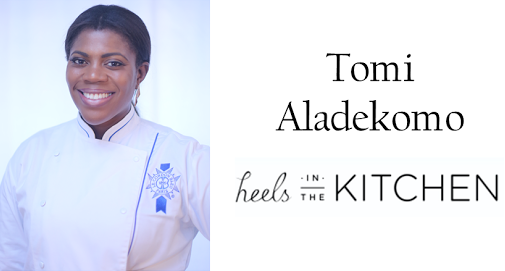 Meet Chef Imoteda, the founder of Heels in the Kitchen, a cooking show with a fashion and style edge that gives you an interactive experience on how to plan and create amazing meals. A self described creative’s creative, Imoteda brings a unique understanding of being a working mother in Lagos who, after a long day of working in heels, must go into the kitchen to cater for her family. A Cordon Bleu trained chef who enjoys spending time in the kitchen creating amazing and easy meals for family and friends, Imoteda’s long-term goal is to one day be featured on Food Network. 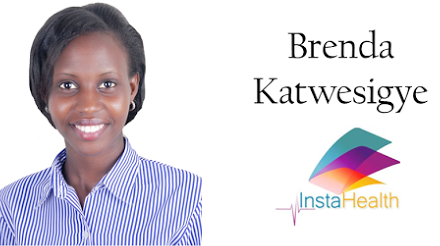 Imoteda holds a degree in liberal arts and a minor in women’s studies with a focus on violence against women. Before starting Heels in the Kitchen, Imoteda worked as a freelance makeup artist for five years and then full time in television and film production. She loves everything artsy, reads a whole lot, and finds it difficult to focus without music — right now, her listening obsession is Ciara’s new album, Jackie. Why did you decide to start Heels in the Kitchen and what was the first thing you did when you decided? I knew as soon as I conceived the idea of the show that it wasn’t something I wanted to hand to someone else to create. I didn’t want to risk the vision being diluted or something made that wasn’t up to the standard I wanted. Starting Heels In The Kitchen was the only choice. First thing I did was talk to my older brother. He’s my sounding board and the one person I can trust to offer me completely honest advice. When he was thrilled with the idea I knew I was on the right track. Did you get any resistance from family and friends? I was really lucky in that my family and friends all immediately loved the idea and jumped on board. There were a few reservations about me switching careers but those were easily assuaged when they tasted my cooking! Ha! I wish it was only one point. Every startup is a huge learning experience and it’s never easy. Being a mother I have a lot of financial obligations and sometimes the idea of getting a salaried job with steady pay appealed to me but every time that happened I stopped and looked back at where I was two months before that point. It’s easy to not notice how much you’re growing when you’re involved in the process. Each time the progress I had made kept me going. Thankfully those days are far behind me. It’s been a long while since I thought about giving up. Now all I can think about it growing the business even faster. Find a business and finances savvy partner ASAP! I’m more focused on the creative aspect of things so at several points the business almost died out because it wasn’t being properly managed. I almost lost even the company name because I didn’t do the registration on time. Such a little detail but I overlooked it in my pursuit of culinary excellence. The upside though is that I have been forced to become more business savvy. Honestly for the most part success in business for me is creating a brand that people want to use and enjoy being a part of. Personally success is simply living the happiest life that I can. Turning my dreams into reality makes me happy, spending time with my family makes me happy. Being able to combine both is success to me so, personally I’m feeling pretty successful already. If you win the She Leads Africa competition, what’s the first thing you’d do? Throw a dance party with my offspring and a nice five course dinner with my friends and family. I already have my menu planned. I’m an optimistic person. Any amount of money is great for a business. It would probably go into buying supplies and equipment for the business. Ignore the yes men, listen to you naysayers. You’ll always have people in your corner and while you need to always be appreciative of them, it’s the people who have something negative to say that will push you to grow. You should work so hard that they run out of negative things to say. No matter how petty the negative is, fix it immediately. To learn more about Heels in the Kitchen, visit their website or follow them on Facebook, Instagram and Twitter. To see Imoteda pitch live on stage, reserve a ticket to the She Leads Africa 2015 Entrepreneur Showcase HERE. 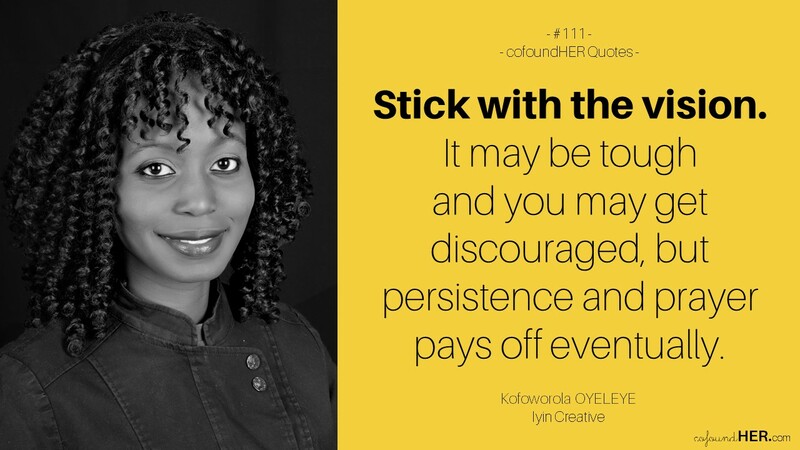 With a background in engineering, logistics and supply chain management, Kambili Ofili-Okonkwo has always fancied herself an entrepreneur. At fourteen, she made her first attempt at entrepreneurship when she cofounded Generation For Change, a fundraising organisation that raised up to 10 million naira over its three years to support underprivileged children in Nigeria. A graduate from Imperial College London and Cranfield University Milton Keynes, Kambili has worked in the corporate world with big name organisations such as Heinz, where she was a Project Manager for Continental Europe, and Total, where she was Procurement Expeditor. 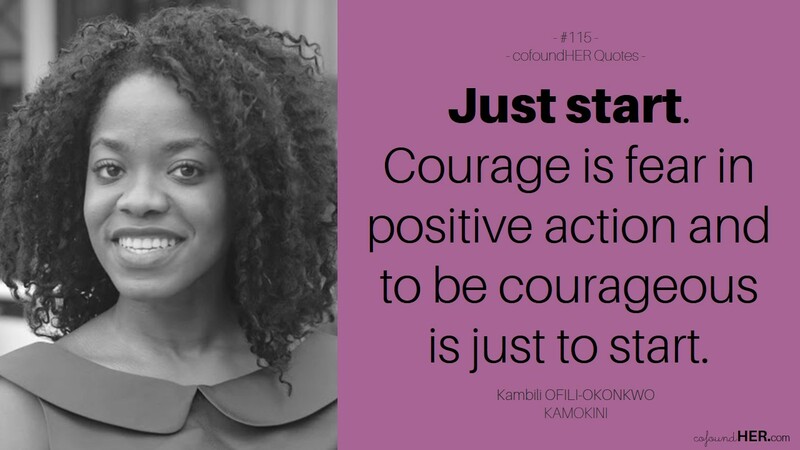 In 2014, she quit the 9 to 5 life to start KAMOKINI, an African swimwear and accessories brand that caters to the average individual’s body image and fashion consciousness. Kambili is passionate about people and the insecurities we individually and collectively possess. When she is not designing KAMOKINI’s latest swimwear collection or looking for new ways to expand the brand, she reads books abut business, philosophy and psychology, and loves dancing. Why did you decide to start KAMOKINI and what was the first thing you did when you decided? I started designing swimsuits for myself as a necessity but the positive response from friends and others led me to understand that there was a gap in the market for KAMOKINI. The first thing I did was cross check what I had in my savings because on a personal level, I felt that I had to be somewhat financially invested to start with so I could feel the severity required to make my key startup decisions. Initially, I didn’t get any resistance from family and friends other than constructive feedback on how to approach the market. The resistance came when I was trying to make the decision on whether or not to quit my job as Procurement Expeditor at Total. The resistance made sense since at that time, KAMOKINI was not at the point where one is advised to be at before quitting your day job. On the other hand, from working on KAMOKINI for some time, I realised that some of the key activities I needed to do were inhibited by the time of day I allocated to work on my business. Understanding both sides of the decision, I planned my exit strategy and bootstrapped my expenses to ensure I had saved enough to last me the time I had promised to give my business to become profitable. I would tell myself to hire an accountant/ bookkeeper in-house or outsource no matter the cost. Being on top of the money going in and out of the company is vital and it is a painful process if you have to get things in order in the middle. The first thing I would do is to invest in a mould to make larger bust cups for my African voluptuous ladies, begin the production of a popularly demanded swimsuit, and produce a wider range of samples to create a buyer’s pack to showcase to potential distribution channels. If you could give one piece of advice to a large group of aspiring entrepreneurs, what would it be? To aspiring entrepreneurs that are still thinking, just start. Courage is fear in positive action and to be courageous is just to start. To aspiring entrepreneurs that are planning, congratulations on going for it! Now put your back into it and make it count because not much is sweeter than doing what you love. To learn more about KAMOKINI, visit their website or follow them on Facebook, Instagram and Twitter. To see Kambili pitch live on stage, reserve a ticket to the She Leads Africa 2015 Entrepreneur Showcase HERE. This September, six women entrepreneurs will pitch their businesses at the She Leads Africa 2015 Entrepreneur Showcase, an annual pitch competition hosted to showcase and invest in high potential women entrepreneurs in Africa (you should reserve your ticket now). Aside bragging rights and international media exposure, the winner of this year’s pitch competition will get the grand prize of $10,000 USD, year long training and mentorship with experienced advisors, and direct access to investors (see full list of prizes here) . We interviewed all six finalists who were selected from nearly 400 applicants in 20 countries. These outstanding women have a combined revenue of $3million USD, over 11,000 customers and operate in various sectors including beauty, health, fashion and food. Every day this week, we’ll share our interviews with them, and learn more about what they do and their entrepreneurial journey to date. She Leads Africa is a social enterprise dedicated to supporting high growth Africa-focused start-ups with at least one female founder. 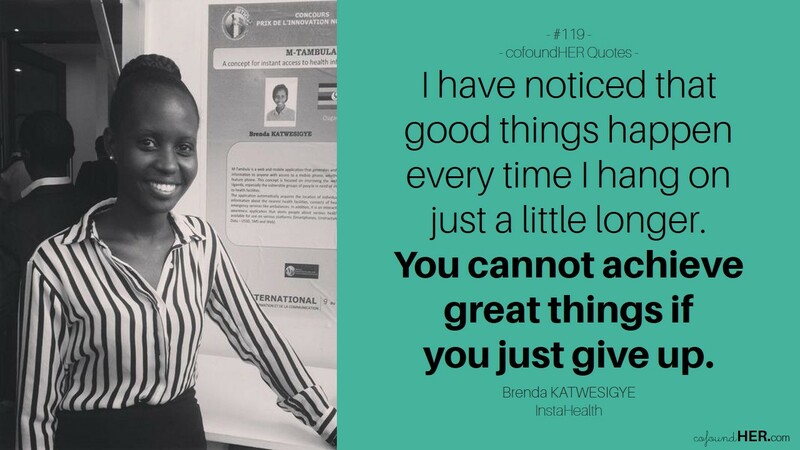 This year She Leads Africa received applications from nearly 400 startups from 20 countries. Learn more about this year’s Entrepreneur Showcase here. Kofoworola Oyeleye is the CEO and Creative Director of Iyin Creative, a company that creates animated content to help children learn native Nigerian languages and the Nigerian culture in a fun way. Born and raised in Lagos, Kofo started working at an early age, serving as her father’s unofficial personal assistant, a position she held till she got married and had to relocate. Her first formal job was at a management consulting firm followed by a project management company, after which she decided to start her own business. She credits her work ethic and knowledge about the business world to her 9-to-5 experiences. Kofo’s journey to entrepreneurship was not accidental. From a young age, she had a book where she wrote ideas and businesses she wanted to start; the problem was that she didn’t know when that would be. She has a wide range of interests all centred around creativity — sewing, design and crafts. She loves roller skating and ice skating and once worked as the ice skating instructor at the artificial rink at Silverbird Galleria in 2007. What is Iyin Creative about? At Iyin-Creative, our primary objective is the creation of fun animated content, teaching children our native Nigerian cultures, history and heritage. Our goal is to create a global appeal for our Nigerian heritage using animation. Our premier product is the Anilingo series which introduces children to the foundational aspects of Hausa, Igbo and Yoruba through the numbers, alphabets, words and actions in daily life. We also do animation training and, in line with children being priority, we organised Nigeria’s first ever Animation Summer Camp in August last year and will be having another this year. Why do you think it is important for us to preserve our language and pass it on to our children? Our native language and culture is our identity — not English, not French or any other language. If we don’t pass it on to our children who are the future, we will be a people with no heritage and in no time, we’ll have no heritage, no values, no identity. Our culture is rich and is in not of less value than that of Europe and other foreign cultures, but unfortunately a lot of us treat it as so. We at Iyin Creative, through our quality animated content, are creating a global appreciation for our native Nigerian heritage, history and cultures. How did you get the idea for Iyin Creative and why did you decide to start this company? At some point in 2013, I no longer had the drive to work for anyone. I knew it was time for me to bring one of my many ideas to life, so I quit my job at the project management company I worked. At this point, I still wasn’t sure what exactly I was going to do. I had heard about the YouWin Programme, but wasn’t interested for two reasons: I didn’t have faith in any government project, and I didn’t quite know which of my ideas would be good enough. But my best friend kept insisting I try with any of my ideas. One day, while tidying up the sitting room, my then 3 year old daughter was watching Dora the Explorer. It then crossed my mind that if my daughter was picking up Spanish words, which no one spoke at home, by watching Dora, I might as well create animated content that will teach her our native Nigerian cultures and heritage instead. Our language of conversation at home was English, so she neither understood nor spoke Yoruba. So, I applied with that idea in 2013, won and started the business. Despite starting with a grant, it hasn’t been the easiest of journeys but I still wouldn’t trade it. I’ve grown as the business has grown too, weathered storms, and become even more innovative. You’ve been twice lucky: getting the YouWin grant and now the Tony Elumelu Entrepreneurship Programme grant. After YouWin, why did you need to apply for another grant? I got 7.5 million naira from YouWin. I know that sounds like a lot of money, but for an animation studio starting from the scratch, it’s not that much. From creating the business plan, I knew I needed about 13 million naira to setup, start and finish the first project. Working with what I got and with financial support from my husband, as well as creating other services for revenue generation, I scaled down on several aspects. Outside work tools, you don’t come by skilled animators easily in Nigeria and the available ones come at a high price. There was no way I could do it all on my own, so the high cost of running the business was unavoidable. By the time the project was completed YouWin funds had long been expended, and a whole lot of funds had been pumped in by my husband as well. This left us with a tight budget for replication, so we couldn’t produce as many copies as we would have loved to. My applying for the Tony Elumelu Entrepreneurship Programme was to gain access to financing to produce a larger volume. One problem entrepreneurs face is knowing how to juggle multiple tasks effectively. How do you manage your time and prioritize tasks? It hasn’t been the easiest of things especially given the fact that I have two children. I don’t know if it comes with being a woman, but I’ve somehow through the grace of God been able to build my work schedule around my children. When I have a backlog of work, I sacrifice some hours of sleep to catch-up. I also have a great team, so it’s not a one-man-circus. Where do you see your company in the next three years? In the next three years, I see Iyin-Creative becoming a household name. We will create a platform not just for our content, but also for content from other animators, that promote Nigerian cultures. It’s not about us, it’s about our heritage. Success to me in business is being able to impact the society with my vision. In my personal life, it’s being able to bring up visionary Children who love Christ. Stick with the vision. It may be tough and you may get really discouraged, but persistence and prayer pays off eventually. We are sharing the stories of 20+ African women entrepreneurs who are beneficiaries of the Tony Elumelu Entrepreneurship Programme and whose ideas can change the world. Follow the TEEPcofoundHER series HERE. 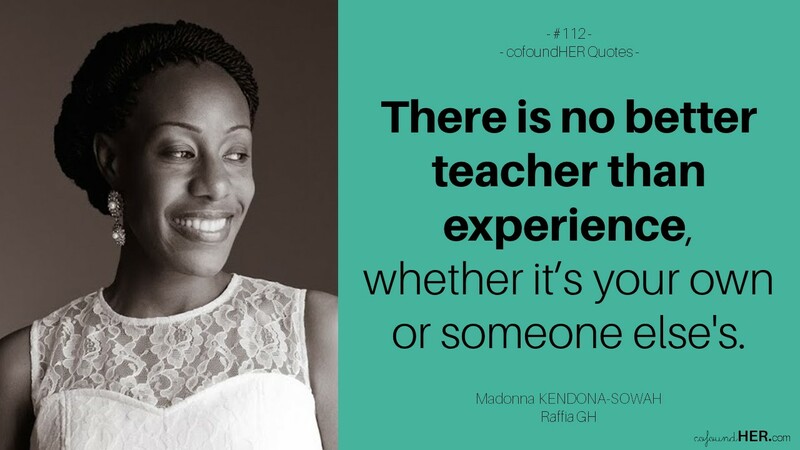 Madonna Kendona-Sowah is the founder and Creative Director of Raffia, a line of high-quality clothing made from cotton fabrics, handwoven in the poorest parts of Ghana. The label showcases beautiful textiles with elegant designs and promotes employment and education in the Northern and Upper East regions of Ghana. An avid consumer of all things fashion, Madonna realised that northern Ghanaian textiles, also known as Gonja cloth or batakari didn’t feature in mainstream designs. Taking the opportunity to combine her love for fashion and her training in Economic Development, she founded Raffia to address this need. Share with us, what is Raffia about? Raffia produces high quality clothing and accessories made from traditionally handwoven cotton textiles from Northern Ghana. We are using traditional textiles handwoven by indigenous artisans in the three northern regions of Ghana – the poorest part of the country. Working with us gives our weavers the chance to earn an income, be financially independent and take care of themselves and their families while preserving an age-old craft. Raffia aims to change lives, revitalize the economy in Northern Ghana and showcase the beautiful textiles and products found there. How did you feel when you heard you made the Tony Elumelu Entrepreneurship Programme (TEEP) and what was the most difficult part about applying? I was absolutely thrilled. I couldn’t quite believe it, to be honest. It wasn’t until I started getting congratulatory messages that it sunk in. To have Raffia validated like that was wonderful. For me, the hardest part was definitely articulating my vision for Raffia in a way that the selection committee could clearly understand and appreciate. As an entrepreneur, you tend to have these long conversations with yourself about what you want for your business but it’s almost as important for other people to understand what you’re about. The application process was very thorough and asked some hard questions but I feel I’m better for having figured out how to get my vision across. What has been your number one business challenge and how do you think the programme will help address it? As a bootstrapping entrepreneur, my main challenge has been funding. Most of us new entrepreneurs are curious and scrappy and there are many things about running a business one can learn to do – like building a website, bookkeeping, social media marketing, etc. It’s okay to be all things to your business in the beginning but growing means getting help, improving your product, increasing inventory and in general, stepping up your overall game. That requires funding. I expect Raffia to achieve greater exposure, reach more customers internationally and hopefully form interesting partnerships, starting with the 999 other members of TEEP. Through all this, I see Raffia growing, improving, continuing to create beautiful clothes while creating a marked social and economic transformation in Northern Ghana. There is no better teacher than experience, whether it’s your own or someone else’s. So, test your theories, try new things and find out once and for all what works and what doesn’t. Also, read, ask questions, never stop learning and improving. Keep it moving. A real estate and hospitality graduate turned TV presenter and now farmer, Mavis Nduchwa has done it all. Mavis’ journey to entrepreneurship goes as far back as when she was in boarding school, where she ordered and sold sweets to fellow students, and helped some students write their essays and letters for a small fee. So, it was no surprise that all through her career changes, Mavis always knew that she would someday be her own boss. Mavis is passionate about the environment and nature. She is currently a manager at Safari Lodge, something she has been doing for the past ten years. In May 2011, she co-founded Chabana Farms with Brighton Chabana and was recently one of three selected winners of the Tony Elumelu Entrepreneurship Programme (TEEP) from Botswana. 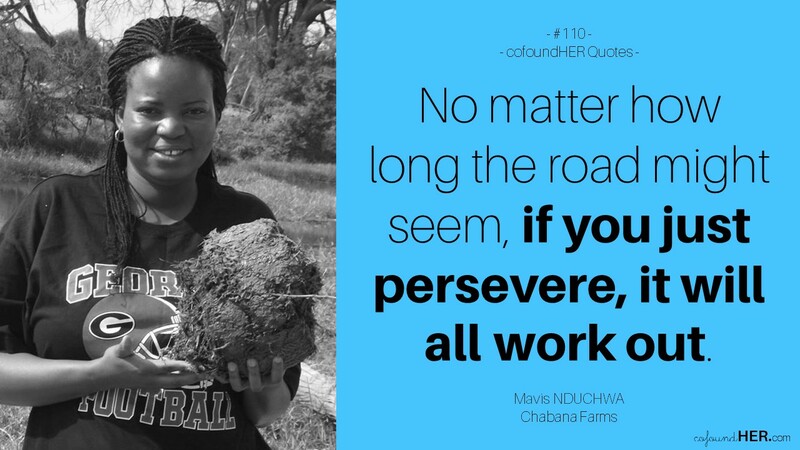 Mavis enjoys gardening and travelling and hopes to empower her community with agriculture. At Chabana Farms, we are all about integrated farming — cattle, goats, donkeys, poultry, piggery, vegetables and horticulture. Farming is our pride. We believe that no child should go to bed hungry, so we make sure that starting from our small community, every person is fed. We also empower women and girls in our community through farming. We started Chabana Farms in 2011 after we saw the problems our community was facing — lack of jobs for women and youth, shortage of food such as vegetables and meat products, people having to travel far to get basic commodities. We wanted to change this. We believe that by empowering the locals, we’ll have taken the first step to turning Africa into one big economic giant. The vision for Chabana Farms is not only to provide food for the nation but to empower individuals in the community. We want to turn Chabana farms into a well known brand, both locally and internationally. How did you feel when you heard you made the Tony Elumelu Entrepreneurship Programme (TEEP) list and what was the most difficult part about applying? When I got the news that I made the TEEP list, I was so excited that someone out there believed in me. The most difficult part about applying was getting internet access. The internet is not readily available in my community, so that was a challenge. What is your biggest business challenge right now and how do you think TEEP will help address it? My biggest challenge has always been getting capital to operate and market Chabana Farms. It is important that the company sustains itself so we can in turn empower others in our community. With TEEP, I am hoping to gain more experience in marketing and get some of the funding needed to make us sustainable. Any words of encouragement to other entrepreneurs out there? My words of encouragement are that they should not give up. No matter how long the road might seem, if you just persevere, it will all work out.